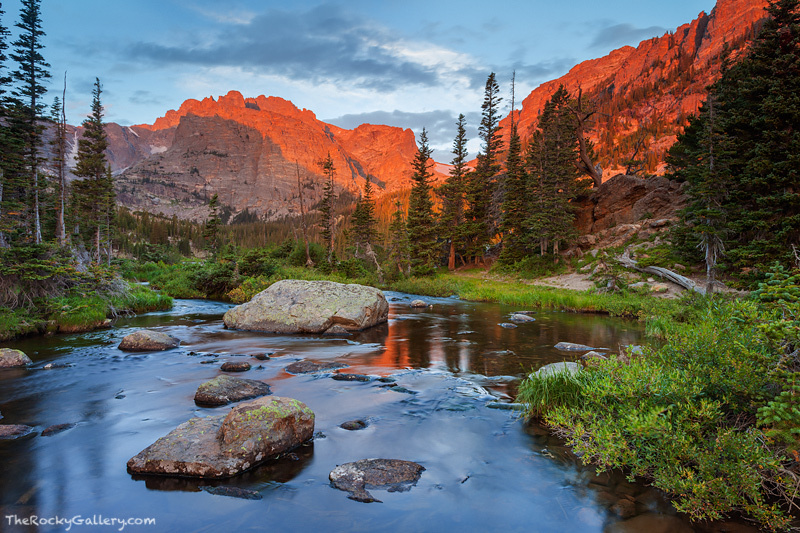 The Cathedral Wall catches first light a clouds drift over Loch Vale in Rocky Mountain National Park. Hints of orange can be seen reflecting in the outlet of the Loch on this magnificent Colorado morning. Photo © copyright by Thomas Mangan.